NRAS - Facts And Figures. The Government has created this opportunity to provide investors an even better return on their property investment selection by providing a significant 2016-2017 tax free rebate of $11,048 (and Indexed by Rental CPI) per annum for a period of ten years. Returns on NRAS investment property is typically greater than 7% gross rather than normal 5% returns. National rental affordability scheme investment property remains under the NRAS scheme of 10 years, providing property investors security of long term income stream. Through the NRAS Australia website, you'll find many of the NRAS investment properties are POSITIVE CASHFLOW, so there is no draining weekly outgoing cost. NRAS Australia wide, generally yield higher than usual returns for investors in the residential property market. When you listen to the NRAS webinar, you'll find out how as a property investor, you can benefit from over A$100,000 in tax rebates over a ten year period for each property you buy as a 'reward' for your social impact investment. 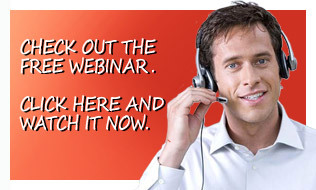 You can join and leave the NRAS Australia webinar at the click of your mouse. Soak up and understand the NRAS property investment information in your own time and at your leisure. Each NRAS property you purchase will generate a positive cashflow investment when you include the benefit of the Government NRAS tax-free contributions. In the five years to 30 June 2013, NRAS has delivered 14,575 completed dwellings with 23,884 more dwellings in progress. The Executive Director of the Community Housing Federation of Australia, Carol Croce, said that "NRAS is doing what it was intended to do: promoting significant investment where it's needed at the affordable end of the rental market." When you listen to the NRAS webinar, you'll learn exactly how you can benefit from over A$100,000 in Government tax rebates over a ten year period. After registering with NRAS Australia, you can access NRAS investment property country wide. You'll find probably the widest selection of NRAS property to be able to choose from. NRAS Australia provides information and education on the national rental affordability scheme. NRAS is a social impact investment opportunity initiated by the Federal Government to satisfy the shortage in affordable rental real estate in New South Wales (NSW), Queensland (QLD), Western Australia (WA) and South Australia (SA). You can find specifics about individual nras development projects such as nras new south wales,nras qld,nras queensland,nras wa,nras western australia,nras sa,nras south australia, within the NRAS Australia site.